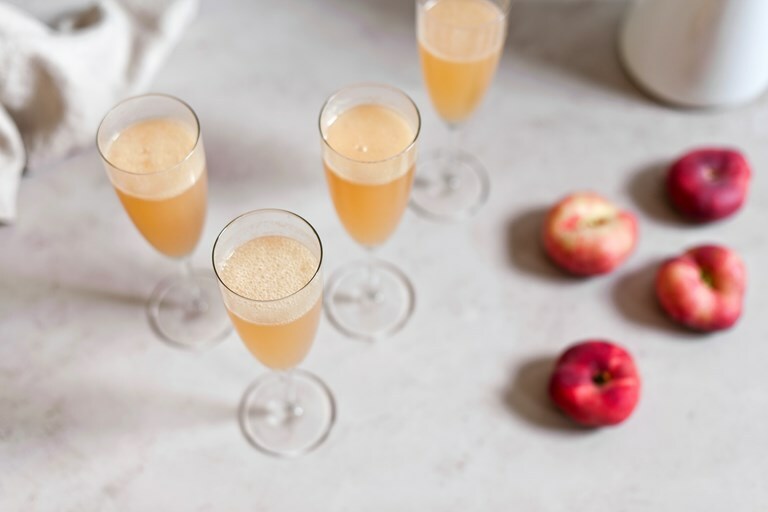 Valeria Necchio recreates a classic peach Bellini recipe, using beautifully ripe white peaches for the perfect base for the dry Prosecco. This classic Prosecco cocktail is hard to beat on a hot day, so it's worth whipping up a bigger batch of the purée to keep in the freezer ready for summer parties. I wonder whether Giuseppe Cipriani knew that some of his culinary inventions were going to become cults. As the founder of Harry’s Bar, the Venetian institution at the heart of the city with patrons of the caliber of Ernest Hemingway and Truman Capote, he invented not only the much celebrated Carpaccio (a dish of thinly-sliced raw beef sirloin, painterly dressed with lemony mayonnaise); he also came up with the cocktail of worldwide fame that is Bellini. A medley of sparkling wine and white peach purée, Bellini is the quintessential drink of Venice. Invented sometime between the mid 1930s and 1940s, for many it represents la dolce vita in a glass. 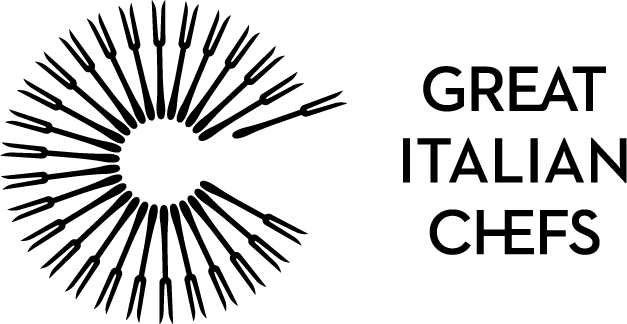 Interestingly, like the beef carpaccio (named after Vittore Carpaccio, a painter known for his love of deep reds), the Bellini was also inspired by a painter (the 15th century Venetian artist Giovanni Bellini, who had a talent for reproducing pastel nuances), suggesting that Venice’s rich art scene had a strong influence on Cipriani’s creative work. Bellini was originally conceived as a summer drink, but it’s now served all year round. Being so simple, its success relies on the quality of its ingredients: peaches and wine. Sweet and ripe white peaches, at their peak during the summer months, are essential; though some simple syrup can come to the rescue if the fruit are a tad underripe. When peaches are not in season, on the other hand, it’s best to rely on some quality frozen peach purée, or else to refrain, as even the best peach juice won’t deliver the same results. Regarding the wine, dry Prosecco is the canonical choice; Franciacorta is also good if only a bit unorthodox, while good Champagne would feel just too precious for the scope.